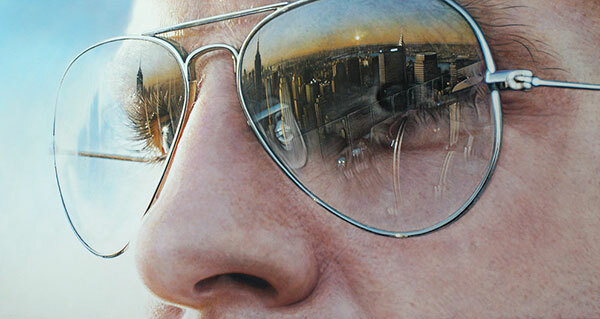 Hyperrealistic paintings of landmark buildings and other locations reflected on sunglasses. 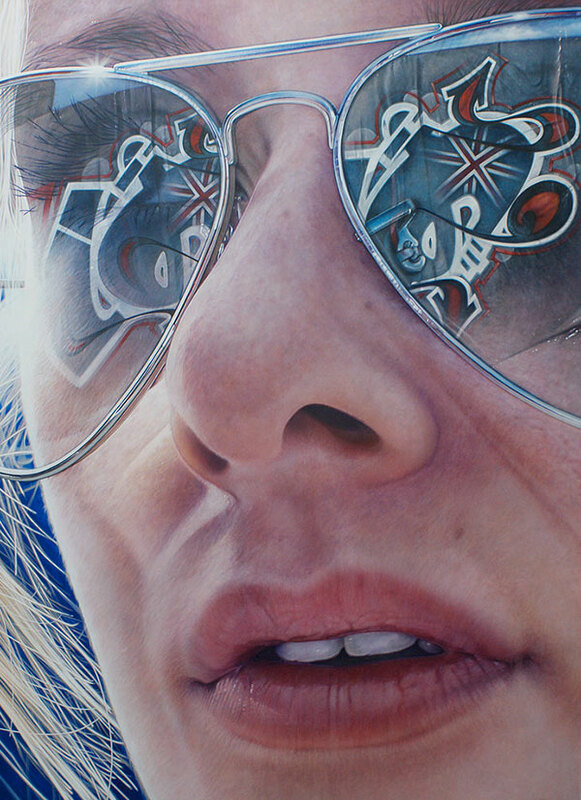 My paintings may be viewed as a photographic representation of reality, but in truth my artwork transcends into it's own abstraction of reality. I do not adhere to a true mimetic depiction of a photograph, I use the camera only as a source to assist me with gathering information. 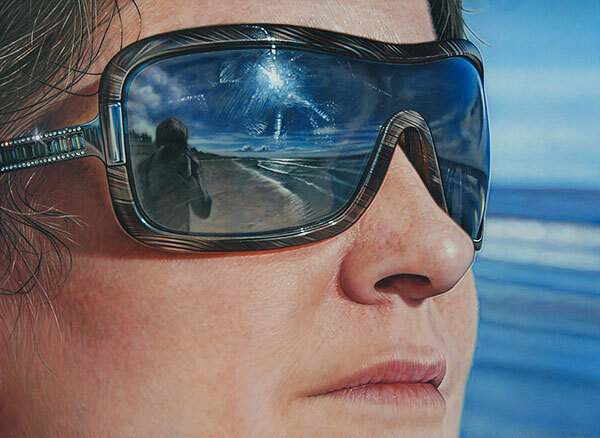 My process of adding or removing detail, altering depth, adding textures, form and colour values and their relationship within the painting, allows me to create an illusion of a reality not seen in any photographic source. 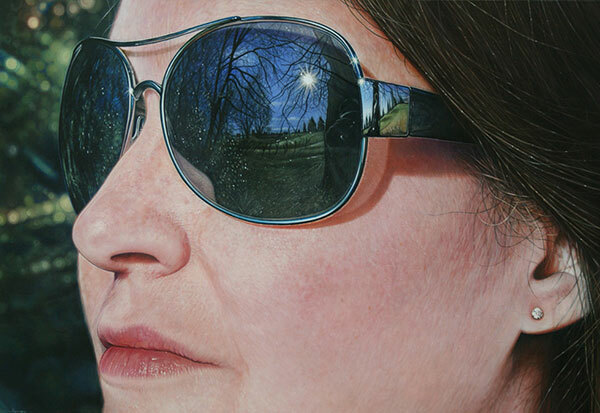 My paintings therefore appear clearer and more distinct than a photograph. 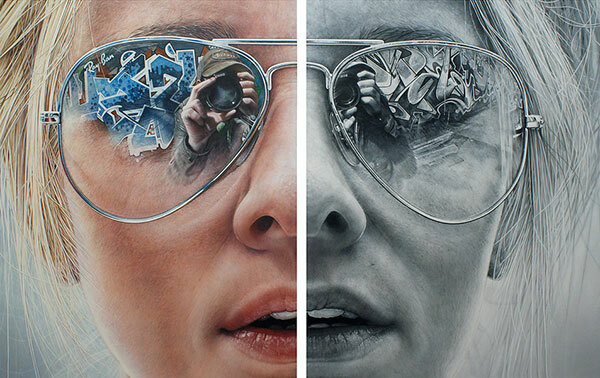 Constructing my own interpretations of a reality results in blurring the boundaries of what is real and what is made up, presenting the viewer with a simulation of reality, or a hyper reality.